As many of us know, insurance carriers are most profitable when they collect premiums and resist paying claims. Some of our clients consult us when they have a legitimate insurance claim that is not being paid, so that we can interpret their insurance policy and pursue the insurance company to properly manage the claim. There may be a casualty event in a cooperative or condominium building where it is not clear whether the building’s or individual owner’s insurance carrier is responsible for the claim. This post will address the legal issues that arise with respect to insurance claims pertaining to real estate. Our attorneys recommend to individuals purchasing apartment units that they procure their own insurance policies, whether or not the building requires same. Otherwise, damages within the walls of the apartment unit need to be paid out-of-pocket by the unit owner. When a unit owner has her own insurance, such policy will cover damage within the unit, such as water damage to interior finishes and painting and wallpaper that are not covered by the building’s insurance. Further, our firm recommends that contractors engaging in apartment renovations to common areas of the building or to individual units demonstrate adequate insurance coverage for damages that may occur during the renovation. The following is a typical scenario involving the cooperative and condominium boards or individual unit owners that we represent. A casualty event such as a severe ice and snow storm causes ice dams to appear in the gutters of the building. Such ice dams eventually melt, causing mold within the walls between apartment units and water leaks within specific units. How do the applicable insurance policies manage the resulting insurance claims? The entire building will most likely have insurance coverage. However, most buildings in their proprietary leases or bylaws provide that building insurance only covers common areas and damages within the walls of the building between units. As a general guideline, if the repair necessitates the removal of the wall in order to make the repair, then it is the responsibility of the building, rather than the unit owner. Therefore, the building’s insurance should pay the claim. Insurance claims can also arise between unit owners in a cooperative or condominium building. For example, a unit owner on the third floor allows his bathtub to overflow and the water reaches the unit on the second floor, leading to plaster damage, cracks in the ceiling and leaks. In this case, the unit owner on the lower floor should make a claim against the individual on the higher floor for damages to her unit. Hopefully, the individual on the higher floor has his own insurance that may pay the claim. In addition, the building may have to file a claim if water damage occurred to the walls between the units. Clients require our intervention when a casualty occurs that involves several insurance carriers. For instance, if a tree falls on a condominium building, damage will result to the common areas as well as within the unit owner’s home. It is necessary to aggressively pursue the building’s insurance carrier so that repairs are made to common areas such as the roof. Once such repairs are made, interior damage such as to the walls and plumbing fixtures can be arranged with the homeowner’s insurance carrier. Insurance cases also occur in the single family home situation. The beautiful fall leaves currently appearing in our area remind us that a harsh winter is right around the corner. 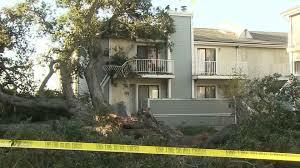 Hurricane Sandy resulted in many insurance claims, some of which remain to be satisfactorily resolved. Legal intervention may be needed to interpret the insurance policy and advocate on behalf of our clients to the insurance company to reconsider or speed the processing of the claim. Our attorneys may review inspection reports and interact with insurance adjusters to resolve the claim on behalf of our clients. Perhaps the insurer takes the position that the damage was caused by an event that is not covered by the policy, while the homeowner’s engineer finds that the damage was caused by an event that is indeed covered by the policy. Complaints to relevant governmental agencies or litigation may also be necessary. Our attorneys are available to assist you should you have an unresolved insurance issue pertaining to real estate.